All Saints’ was designed and built by the renowned architect William Lethaby, one of the leading lights of the Arts & Crafts Movement, and was completed in 1902. The building is Grade I listed in recognition of it’s architectural importance. 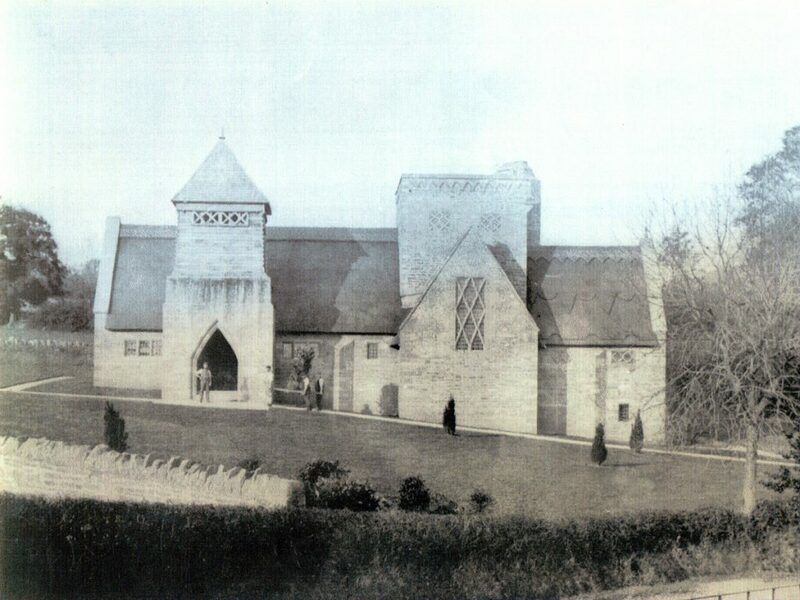 The church was commissioned and privately funded by Alice Foster, who lived at nearby Brockhampton Court. The Country Estate House had been purchased and restored, along with the 1500 acre estate, by Alice’s parents, Ebenezer and Julia Jordan of Boston, Massachusetts, as a wedding present for Alice and her husband, Arthur Foster. 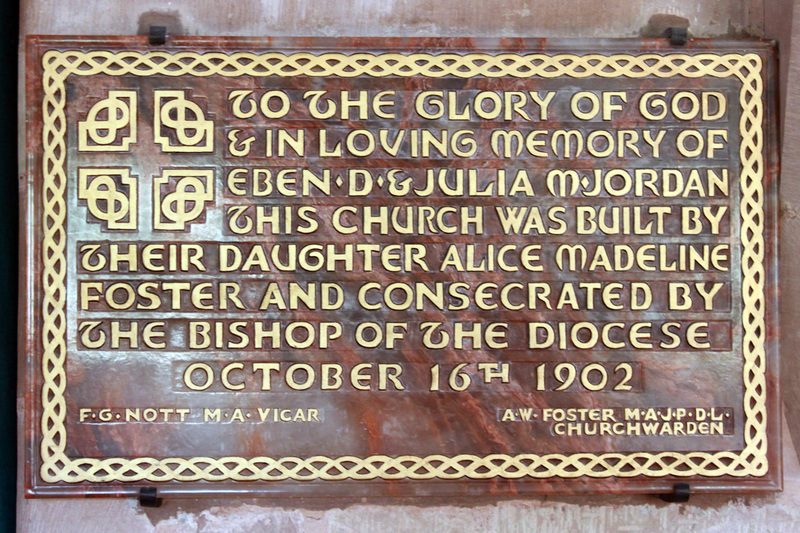 Alice commissioned the building of All Saints’ in memory of her parents. William Richard Lethaby was born in 1857 in Barnstaple, Devon. Whereas most architects of the day came from the middle or upper classes, Lethaby’s origins were altogether more humble, his father being a gilder and carver. Young William’s experiences in his father’s workshop gave him a deep respect for craftsmanship and he became a natural disciple of William Morris, one of the pioneers of the Arts and Crafts Movement. After his apprenticeship, Lethaby moved to London to work as chief clerk to the architect Richard Norman Shaw. After ten years, he began working independently, designing a wide range of products, including books, furniture, stained glass and buildings. In 1891 he published his most famous book, Architecture, Mysticism, and Myth, and the following year completed his first independent architectural project, the country estate of Avon Tyrrell in Hampshire. In 1896 Lethaby took a leading role in the creation of the Central School of Arts and Crafts, becoming first joint director then Principal in 1902. The school championed a hands-on approach to art and architecture, believing that skills grew out of a sound knowledge of materials, techniques and structures. Many of the teachers appointed by Lethaby were master craftsmen who taught part-time but made their living from their art. He built only four well known houses and one office building. 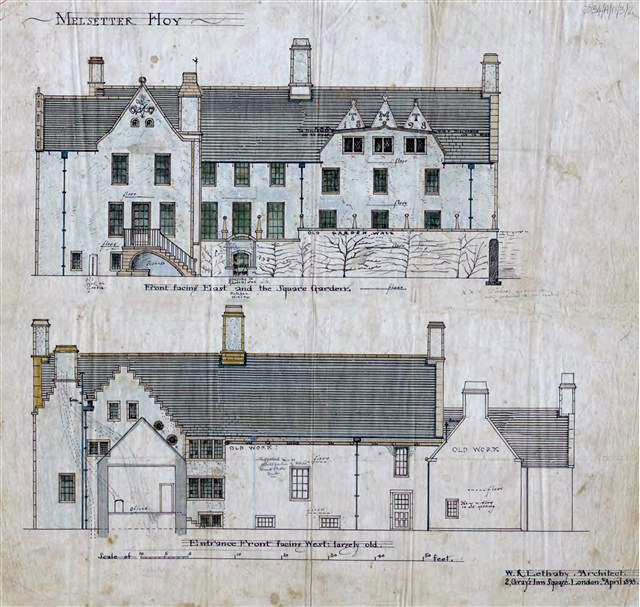 His last work was All Saints’ Church and it began soon after completion of Melsetter House in the Orkneys, with which there are a number of similarities. By this time Lethaby had gained sufficient confidence to build this church by direct labour instead of using a general building contractor. To Lethaby this was a way of allowing individual expressions of craftsmanship to flourish. In 1906, Lethaby became Surveyor of Westminster Abbey and began to devote more time to the study of the history of architecture and design. Through his writings and teachings he became a hugely influential figure, particularly in the preservation and restoration of historic buildings, and he is now seen as one of the pioneers of modernism. 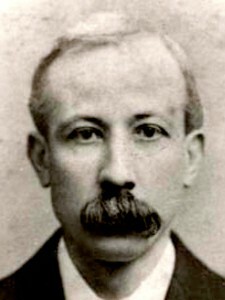 Lethaby died on 17 July 1931 at Bayswater in Middlesex. 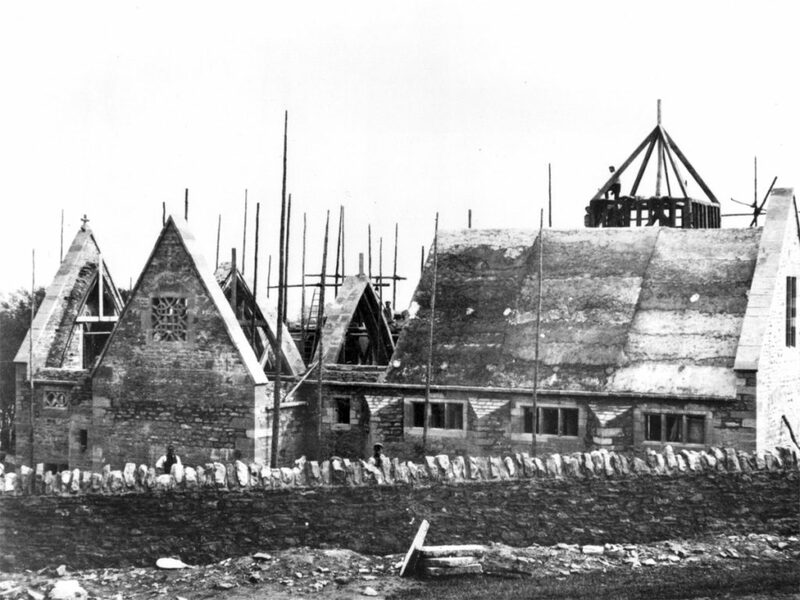 From the outset, Lethaby intended to build All Saints’ in accordance with the Arts and Crafts philosophy; he would live on site, buy the materials, hire the craftsmen and experiment to resolve problems as the work proceeded. 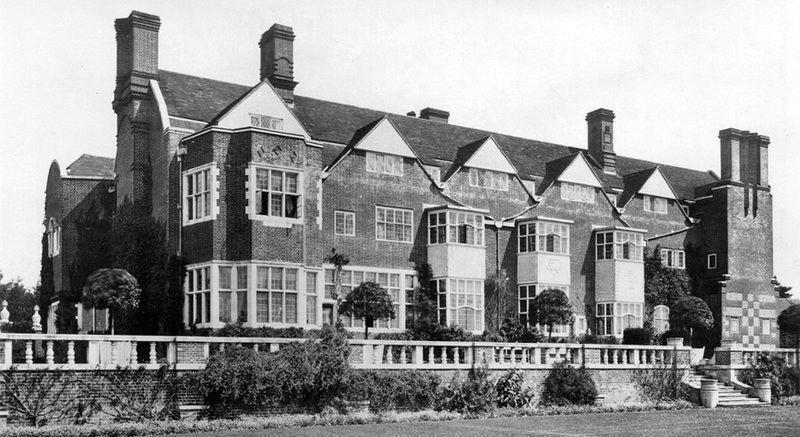 For his previous project at Avon Terrell, Lethaby had produced 229 detailed drawings and had employed a main contractor. For All Saints’, he produced only eleven sketchy plans and supervised all of the work himself. 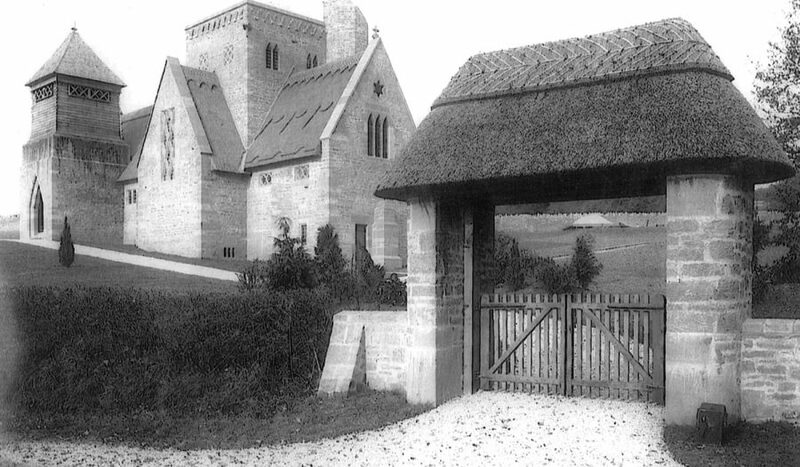 He intended All Saints’ to be a realisation, in concrete and stone, of the central principles of the Arts and Crafts Movement and a return to the ‘organic’ building practices of the much admired medieval Gothic architects. However, it soon transpired that the Fosters were unsympathetic to this method of work. Relationships quickly became strained as Lethaby struggled to cope with the responsibility of managing the build, mounting costs, and pleasing his demanding clients. Whilst he was absent from the site, Lethaby’s assistant, Randall Wells, raised the crossing tower by three metres. As the church neared completion a structural crack appeared in the east wall of the south transept due to an inadequate foundation. Lethaby was forced to seek advice from a local firm of builders and paid for the remedial work from his own pocket. In the end, Lethaby came close to a breakdown. Acknowledging that many of the construction problems were of his own making he refused to accept his fees. All Saints’ church was to be his last building project and shortly after its completion he retired from active practice. Despite the many problems which Lethaby encountered the final result is spectacular. The church is widely acknowledged as one of the leading Arts & Crafts buildings in England. Nikolaus Pevsner, the renowned architectural historian, described All Saints’ as ‘one of the most convincing and most impressive churches of its date in any country’.